Man bun braids are a modern take on a classic man bun, which has been on a roll lately. 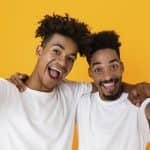 They bring an intricate twist into quite a common hairstyle. 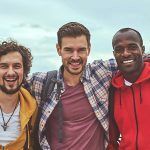 A braided man bun is an extremely versatile hairdo. The number of ways you can braid bun is endless varying from a Viking braid to Cornrows men bun. 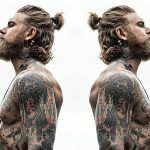 To give you some inspiration, we compiled a gallery of the best ideas for braid styles for men you can pull into a bun. As a bonus, you’ll get a step-by-step tutorial on how to plait a male braids bun. Although it’s much easier to leave it to the barber, you can still pull off a man bun with braids yourself. 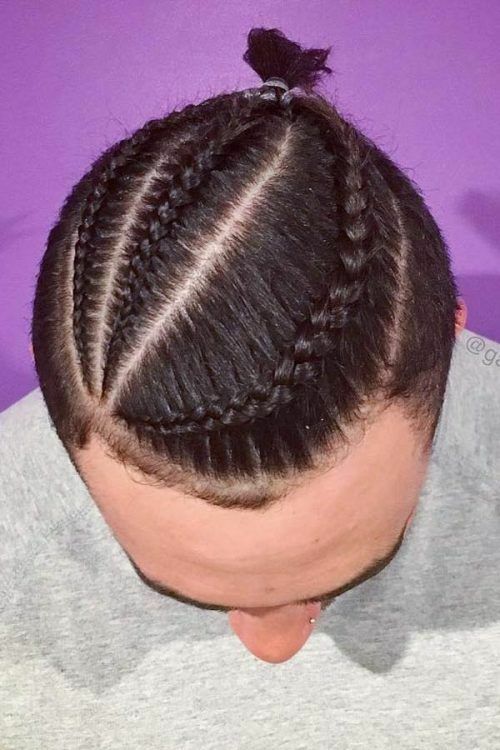 Follow these simple steps and your men braids bun will be the talk of the town. Untangle your hair with a comb with wide teeth and comb it thoroughly. Decide where you’re going to start braiding. Take a strand of hair there and divide it into three equal sections securing each of them in between your fingers. Place the left strand over the one next to it so that they form an “X.” Repeat this step with the remaining strands. Add a piece of hair to the left strand and repeat step 4. Repeat steps 4 and 5 until you achieve the desired length of your man braid. Repeat the whole process following steps 3-7 with another strand of hair. 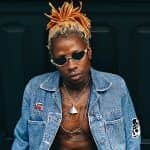 Pull the remaining from man bun braids hair back and bunch it up where you want your braids men bun to be. Pull the hair through an elastic band twice and leave it halfway when pulling through the third time. In the tutorial, we taught you how to create an easy braids bun. 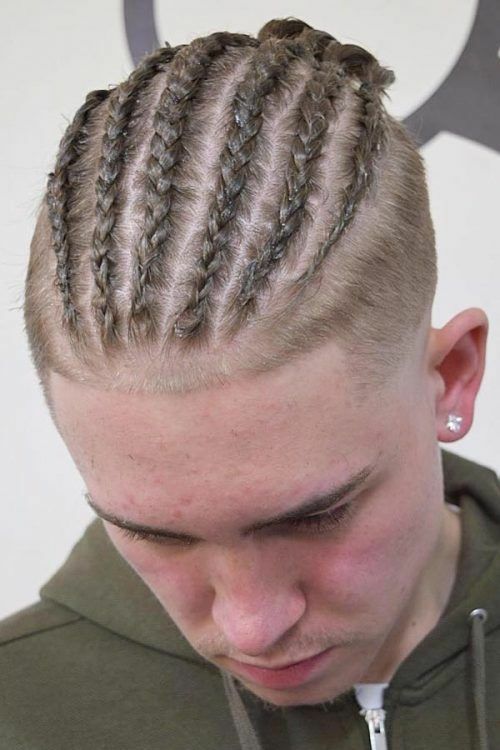 When you get your hand in plaiting braids for men and pulling them into a bun, try on more elaborate hairdos, like cornrow braids or Viking braids. Or, you can get a Samurai hairstyle and adorn it with man braids. Also, you may want to go for a Viking haircut and enhance your braids with fade. Anyway, why are we telling you this? See for yourself! 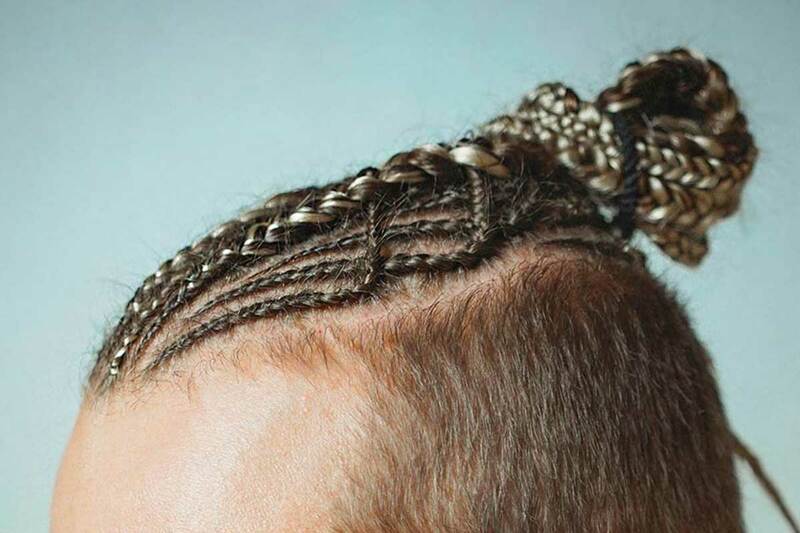 Man bun braids are a whole new level of the trendy men hairstyle. They give your imagination complete freedom allowing packing in a bun anything, from short hair braids to long box braids hairstyles. 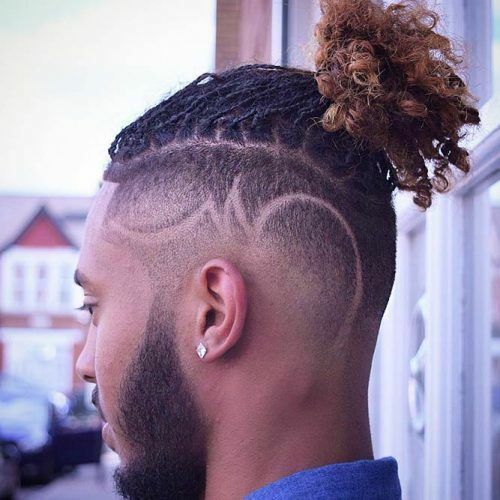 Have you already picked the style your barber will give you next?